Visit this volcanic Indian Ocean island, surrounded by turquoise water, deepening to indigo, with palm-fringed beaches of white sand. 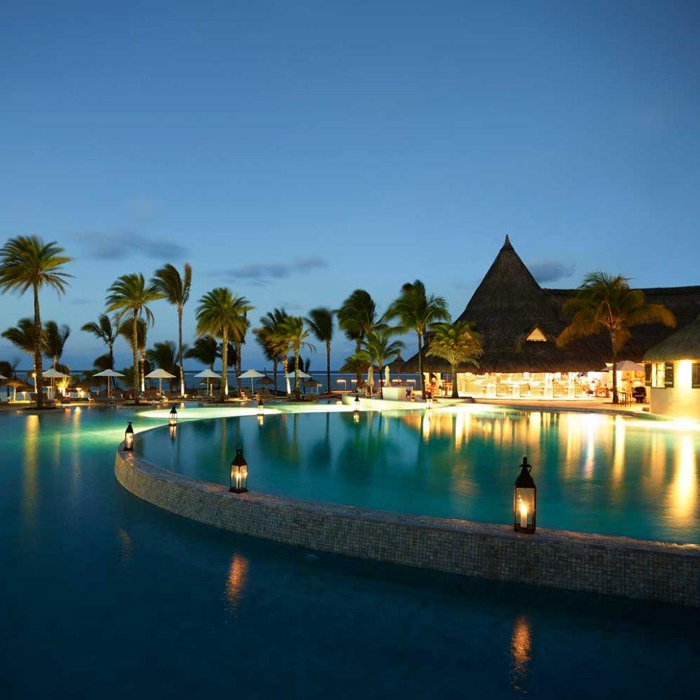 Whether a romantic escape, a family holiday or a respite after the rigors of a long safari, Mauritius is a tropical haven. More trips from African Travel Inc.
Africa has come a long way since Teddy Roosevelt took his first safari in 1909. Then, there was only one way to go on safari and that was on foot, carrying your tent and provisions with you. Today, there are numerous choices and decisions to be considered when crafting your personal safari experience and we are experts at helping you make the selection that is best for you. We eat, sleep and breathe Africa; this is our passion. Building on partnerships with our award-winning sister companies – Africa-based Wilderness Safaris, Red Carnation Hotels and Thompsons Africa, our long term relationships with the top safari lodges, hotels and transportation companies have earned African Travel an enviable position of influence and negotiating power. Overseen by a passionate, involved board of directors and enjoying the company’s rock solid financial backing and negotiating advantages, African Travel and its sister companies are each dedicated to providing guests an unsurpassed, highly memorable travel experience. Established in the USA for over 41 years with expert in-house knowledge on Africa. Safari choices for all travelers at prices from moderate to premium, offering both tailor-made itineraries and pre-planned set departures. Subsidiary of The Travel Corporation, a global travel company backed by a US $20 million consumer bond. One-stop-shopping for accommodations, sightseeing, attractions, meet and greet, and all transportation needs, including all your air services. Concierge Care, 24/7 emergency assistance, provided by on-site offices in Africa and from USA headquarters. Travel insurance plan included for every traveler providing coverage for accident and sickness medical expenses and emergency evacuation. (Applies to U.S. residents only). Comprehensive travel documents including travel merchandise, a detailed itinerary, visa and passport requirements, necessary inoculations, weather charts, travel checklists, maps, country information and travel tips. Choice of Meet & Greet Services ranging from basic airport transfers to Airside Meet & Greet. Loyalty Program provides up to 5% savings to TTC repeat travelers. Your Personal Private Guide can be included from the moment you arrive to the moment you leave, or for any land portion of your journey. Tap into your charming host’s wealth of expertise as you would a private concierge during your entire safari stay.